Ok I actually tried these for the first time last week, but someone pointed out to me that last week was National Vegetarian Week, so I thought I best leave the review until today. Not that I did anything special for National Vegetarian Week it is just that it didn’t seem the most appropriate time to review meaty based snacks. 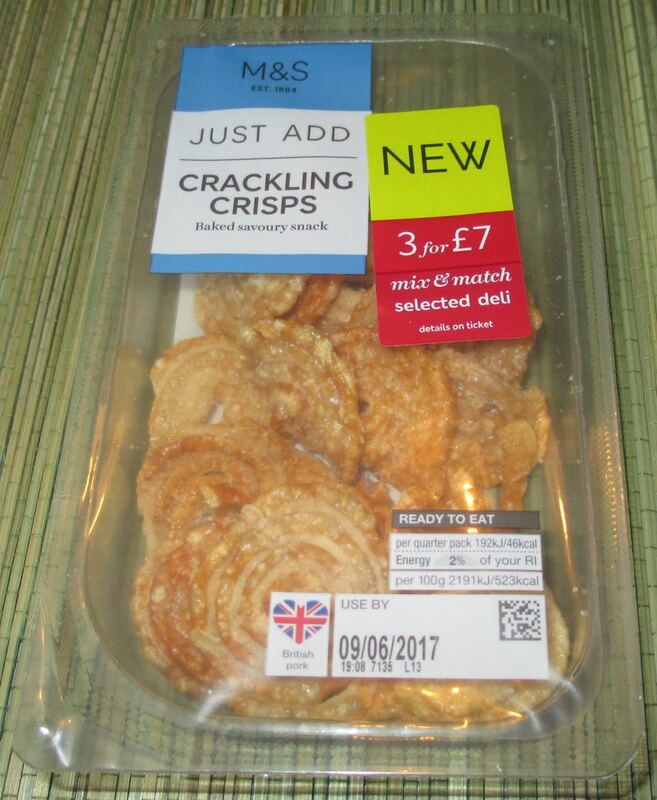 These Crackling Crisps were found in the chiller cabinet at Marks and Spencer and seemed to be in with the place where you would find posh picnic snacks, olives etc. They are not in a bag like most pork scratchings instead they are in a plastic tray and were kept chilled. There were enough to share in the pack, and indeed the idea of eating the whole contents would have been a bit much for me! 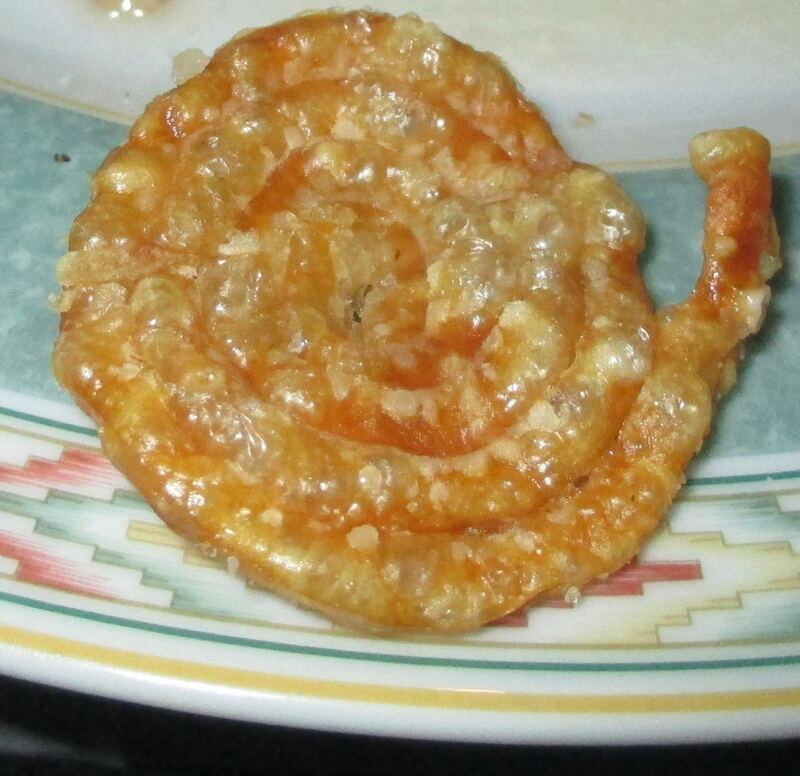 The “crisps” are meat based and look like they are pork scratchings rolled to create a flat spiral. 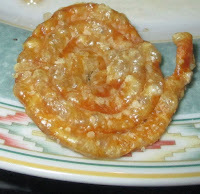 I tried one and absolutely loved the flavour and texture. Although these are unquestionably crunchy, they had a lightness to them too, sort of like there was enough air mixed into stop them being too hard and instead they were nicely crispy. Flavour wise these were very much pork scratchings, they tasted meaty and fatty, and so a bit naughty but very tasty. They were seasoned nicely, with slat and pepper and were fun to snack on. These would be a great accompaniment to a picnic, but they felt a bit posh just to munch on as a casual snack.